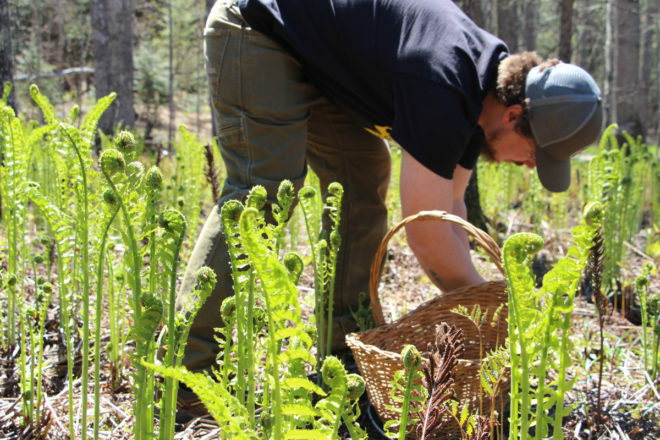 Matt Chambas forages for some fiddlehead ferns to use in one of his dishes. Photo by Jaime Mead. Matt Chambas and Jaime Mead have already found morel mushrooms in this strange spring we’re having and they’ve created Door County Underground to share those rare, locally grown and foraged delicacies with pop-up dinners in small, intimate settings. 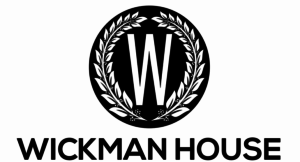 Chambas is a well-tenured chef at Door County’s Wickman House and Trixie’s, originally training at the renowned L’Etoile in Madison. Door County Underground will feature pop-up dinners at local restaurants and farms. Dishes will be crafted using food grown or foraged almost entirely on the Door Peninsula. Chambas and Mead will get much of their produce from Hidden Acres Farm in Sister Bay, where they both work in the garden. But Chambas is also an adept forager for mushrooms and greens in Door County’s forests. He said the small dinners give him the opportunity to use rare ingredients that local restaurants could never sustain for hundreds of customers. He mentions cattails, milkweed pods and too many varieties of greens to name. They have also tapped the skills of Discourse owner Ryan Castelaz for boundary-pushing beverages at dinners hosted at Hidden Acres Farm. Sara and Collin Doherty, owners of Roots Inn & Kitchen in Sister Bay, are happy to welcome Door County Underground in their kitchen every Friday night this year. 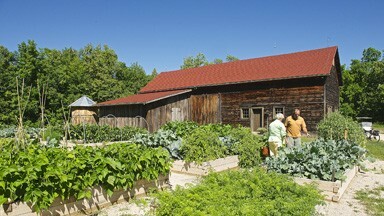 Door County Underground will kick off their season with a five-course farm dinner at Hidden Acres Farm on June 2. 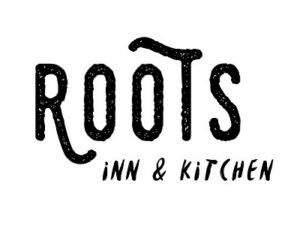 Weekly dinner on Friday night at Roots Inn & Kitchen begins June 8. Tuesday nights at Savory Spoon Cooking School begins June 19. There is limited seating at each dinner. To learn more about Door County Underground or to reserve your spot at their table, visit doorcountyunderground.com. Gail Prine and Tom Remberger at Hidden Acres Farm. Photo by Len Villano.